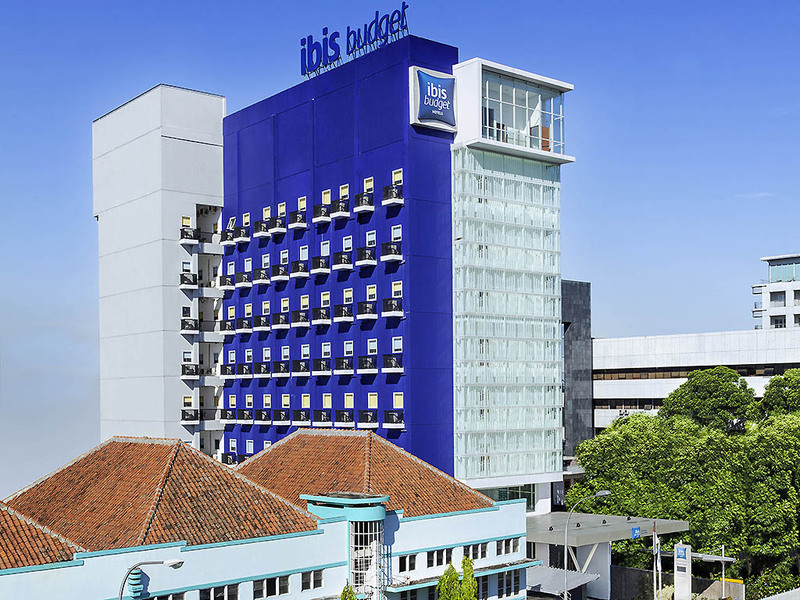 In the business district of Bandung, nearby famous Asia Afrika & Braga streets, ibis budget Bandung Asia Afrika is ideal for smart budget travelers. In the cocoon and air-conditioned rooms, all the Sweet BedTM beds are equipped with soft duvets and fluffy pillows. Enjoy a spacious well-it shower, a full-length mirror, a flat screen TV with a wide choices of channels and free high-speed Wi-Fi available. The hotel offers all-you-can-eat breakfast buffet, 24-hour reception desk and parking area. There's always plenty of activities to do in Bandung. Visit volcano craters or hotspring of Lembang or Ciwidey, gaze at historical landmarks, shop at factory outlets at Riau or Dago Street. Be surprised of Bandung's culinary innovations. The hotel has 164 rooms. Each room has a colorful and contemporary decor and features a 26" LCD TV, in-room safe, bathroom with standing shower, hairdryer and free WiFi Internet access.